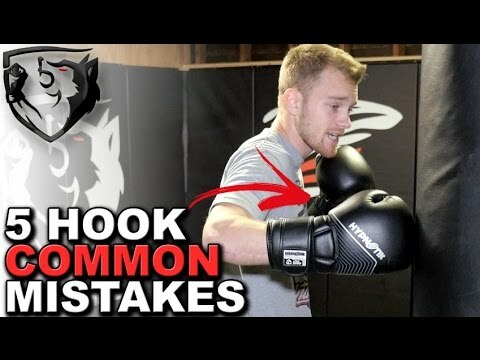 Info about "Hook punch video"
The hook punch is a semi-circular attack thrown with the lead hand to the side of the opponent’s head. 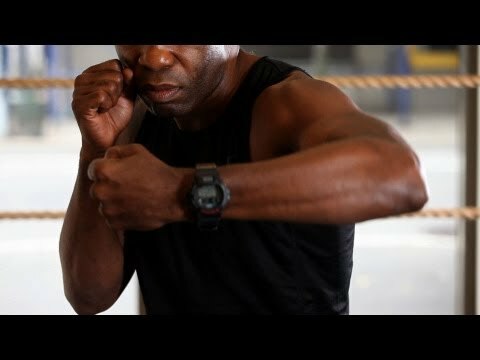 From the guard position, the elbow is drawn back with a horizontal fist (knuckles pointing forward) and the elbow bent. The rear hand is tucked firmly against the jaw to protect the chin. The torso and hips are rotated clockwise, propelling the fist through a tight, clockwise arc across the front of the body and connecting with the target. At the same time, the lead foot pivots clockwise, turning the left heel outwards. Upon contact, the hook’s circular path ends abruptly and the lead hand is pulled quickly back into the guard position. A hook may also target the lower body (the classic Mexican hook to the liver) and this technique is sometimes called the “rip” to distinguish it from the conventional hook to the head. The hook may also be thrown with the rear hand.